Published on August 6, 2018 in Crime in T&T and PNM. 8 Comments Tags: Dr Eric Williams, Francis Bertrand, Politics, Selwyn R. Cudjoe, T&T Govt. Francis Bertrand has been a PNM member for 49 years. He joined the party in 1969 and became a member of its Youth League. His academic and sporting brilliance at Presentation College led to a scholarship to Long Island University in New York. After he returned home, he became the mayor of Point Fortin and served for two terms as president of the World Conference of Mayors. Recently, Bertrand described what it meant to be an “old-time” PNM in the glory days of Eric Williams. Williams was visiting the Point Fortin constituency. The established members of the party came out in their flair and gear to greet their political leader, praising him for the marvelous things he was doing for the country. They did not want the younger party members to address the meeting because they disagreed with their views. While Williams was on the stage, one of the Young Turks sneaked onto the stage and whispered into Williams’s ear–the one with the ear phone– and told him of their predicament. Williams told the Young Turk he would be delighted to hear what the younger members had to say. Unfortunately, the Young Turk did not bring the statement with him. He was so certain he would not be allowed to address the gathering. Williams would have none of it. He suspended the meeting and ordered his personal driver to take the Young Turk to his home where the latter retrieved the document. After he returned—about half an hour later—the meeting was reconvened. The Young Turk read the statement that was prepared by the group. PNM’s present leaders should ruminate the lesson of this incident. They have grown arrogant and profited from an institution Williams and the ole-time PNM built. They need to recognize the difference between the party, the foundation of the movement, and the government, the recipients of the party’s labor. Recognition of this distinction can only strengthen the party. A week ago, the venerable Stuart Young, “Ad-minister of everything but master of nothing,” outlined the government’s crime policy. It was never discussed at PNM’s General Council where such policy initiatives used to be debated. Nor, for that matter, were the LGBT, the marijuana, or the buggery issues discussed there. PNM members learned about the government’s position on these matters via the media. Today, PNM leadership is insulated from the membership. Most ministers hold leadership positions in the party which prevents them from devoting much time to the party’s business. Franklyn Khan, chairman of the party, has never called a meeting of the chairpersons of the forty-one constituencies to find out what they are doing or inform them of the initiatives he is undertaking to strengthen the party. The chairman of the party must work in tandem with the chairpersons of each constituency group if the party wishes to recoup its losses and its prestige. The same holds true for Senator Daniel Dookie, general secretary of the party, who sees his function as being merely administrative. His office is the glue that holds the party together. Getting out in the field and working with members are essential to the party’s success. Party members are disenchanted with their leaders and their party. They are pleading with the party leadership to respect the party institutions, accept constructive feedback, and pursue the holistic development of party members. These might be fit subjects of discussion at the next party convention. Mr Cudjoe, have no fear PNM will win no matter what. I attended Presentation College myself during the late 1960s and one of the Bertrand Boys was the Prefect of one of my classes. As long as you have PNM credentials you don’t really have to accomplish anything to be appointed to a big position, Prefect, Mayor,Executive Director in Public Service, Minister, etc. As Stalin said “it does not matter who votes, but who counts the Votes”. For more than 50 years the PNM and its supporters have been controlling all the major state institutions, e.g. Police, Army, Public Service, Elections and Boundaries Commission, Oil & Gas Sector and the Government itself so its victory in any upcoming election is assured. By the way the really brilliant students were winning scholarships to Cambridge, Oxford, Harvard, Yale and other top rated international universities. Not sure Long Island University is in the same league. It would be very interesting to see exact details of the grievances of the membership and the specific issues with which they are disenchanted. How does the existing agenda of the Party leaders today differ from one being advocated by Party membership at large. Without these specifics there can be no debate. This article falls short of elucidating us on specifics. Many PNM Party Members are treated badly and disrespected by those in authority in the PNM. We have over 10 Party groups of paid members and over a year now, Balisier House and PNM DPL Joan, refuse to hold AGMs to put the paid members in Party Groups. They have our membership fee, but we have no say. The old PNM heads in the Constituency are afraid of fresh ideas, the youths and new faces, enabled by the PNM. Since PNM refused to acknowledge us, we are in the process of moving over to another political party. Down with PNM! The failure of the PNM is its failure to empower Africans. The 1% has made tremendous economic strives and with the help of the PNM. Take a close look at the East West corridor where African small businesses thrived from 1956 to 1970s and you will see decadence and a permanent underclass. Something even the colonials were not able to create. Such failure of the PNM has made a people very vulnerable. Our education is a failure and has not improved since the 20th century to accommodate the 21st century. Young Africans are not politically involved because they know that money talks and everything else walks. Local government must be empowered to take care of their communities. Since we only have two major parties, Africans are faced with the dilemma of voting for one or the other. Unfortunately, many African have cast their faith with the PNM. As a result, Africans have to put the PNM feet to the fire and demand that financial opportunities and business education be offered so that the next generation of Africans can join the 1% and lift their communities. Where are the African businesses when African organizations want to engage in any activity without the help of government. It is time for Africans to let the PNM know in the 2020 election that they will not take business as usual. Our education is a failure and has not improved……. It is the same education the other ethnic groups using. The issue of African failure in education is in the homes. Father, mothers, aunts,uncles, etc have to wake up and take control of their children. Or else the street will devour them as is happening presently. Right now is bandit children ruling the African community in TT. Look how many are killing one another. But go ahead, drink, smoke ganja, sniff cocaine and dead. Or blame the 1%. See if that will get us anywhere. Trinidadians must know of the ‘Guptas’ in South African and how a State can be stolen. There is no doubt that the PNM has been infiltrated. Someone needs to tell Dr. Rowley that the PNM is bigger than him… he must step aside for the good of the country and party. this is the damage a fascist government can do with five years and three months of control of our intel services. Israel Khan can now gloat that, ‘they got their man in’ (CoP) on Emancipation Eve… And, “there is not a dham ting allyuh can do about it”..
Maybe they need to understand the type of spy technology available in the public domain today… one can only imagine what is available for State Intel (in a private capacity). 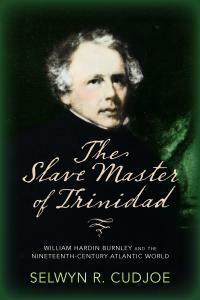 Singhing, “Trinidad is nice for men like Sabga, Kipalani, Marahaj and Y D Lima…. Trinidad is a Paradise”. And.. People need to realize that Dr. Rowley cannot lead his party into victory in any general election… the recent election showed it boldly… It is insanity or stupidity to think Rowley can rally the base…..